Today I thought I’d take the chance to talk about something that I’m pretty interested in, my Mum jokes that I’ve been a little “Eco-warrior” since I was a child and used to encourage her to go to the bottle bank to recycle. I even earned the “Green” Blue Peter Badge when I was younger by drawing a picture of our animal friendly garden- I know, I needed a hobby. Anyway, today I thought I would share some small changes we can all make to help the environment. I think we can all agree the Earth is in a pretty bad way so there are a few easy swaps we can all make to help out and do our bit. Now don’t get me wrong I’m not perfect and I’m fully aware that I drive a car that gives out gases, travel abroad via planes and the list goes on. My point is not to force everyone to be Carbon Neutral but instead to make subtle alterations to our everyday lives. So here are some of my suggestions. We all know it’s important to stay hydrated but that means a lot of plastic water bottles, which often are not recycled, an easy change to make is to purchase a reusable water bottle. By carrying a water bottle with you when you leave the house, you won’t have to purchase a disposable one whilst out and about. Furthermore it will probably encourage you to drink more, which is always a plus- two birds, one stone and all that. 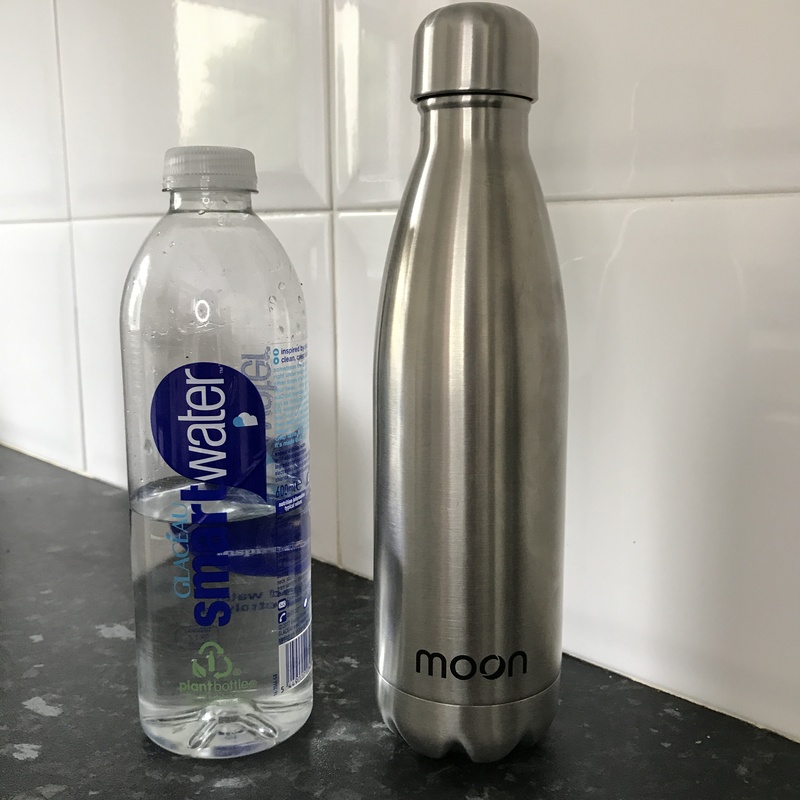 I would suggest buying a bottle you really really like so that you enjoy using it, whether that be a cool pattern, a water intake tracker or an insulated bottle like my Moon Bottle, which can keep water cold for up to 24 hours (and hot for 12). Still on the subject of drinks, when in a restaurant or bar, say no to having a straw in your drink, it’s a very easy choice to make but if we all did it, could make a big difference. Straws can’t be recycled as plastic, neither do they decompose well (around 100 years), so that’s a lot of straws being dumped into our oceans and harming marine life. So this simple swap can do a lot of good. If you really do need or want a straw, you can buy reusable stainless steel ones which can be washed and carried round in a handbag or kept in the kitchen. If you want to help support Marine Conservation, such as Turtle and Seal rehabilitation, check out Sand Cloud, they sell cool Beach Accessories, with a cut of the profits going into saving our oceans! You can also use the code MeganHarv25 for 25% off your basket at checkout. Tote bags are very useful, especially if you are at work, school or Uni so you can chuck books or work in them throughout the day. However they are also handy whilst shopping. I always carry a tote in my handbag so when I’ve done my food shop on the way home or picked up a few things at Meadowhall I can throw them in the bag rather than buying a plastic one. It’s not that I won’t pay for a carrier bag, it’s just that when they get thrown away, yet again they are left, like straws, to not decompose and just cause problems for the environment and creatures who can get caught up in them. This one goes without saying, recycle as much as you can, paper, glass, plastic. Don’t just throw it all in the bin, I know it sounds boring but it really does help, have a designated time or day when you take it out, or if your bins are full, especially at peak times like Christmas, you can take all your recycling to most supermarkets. 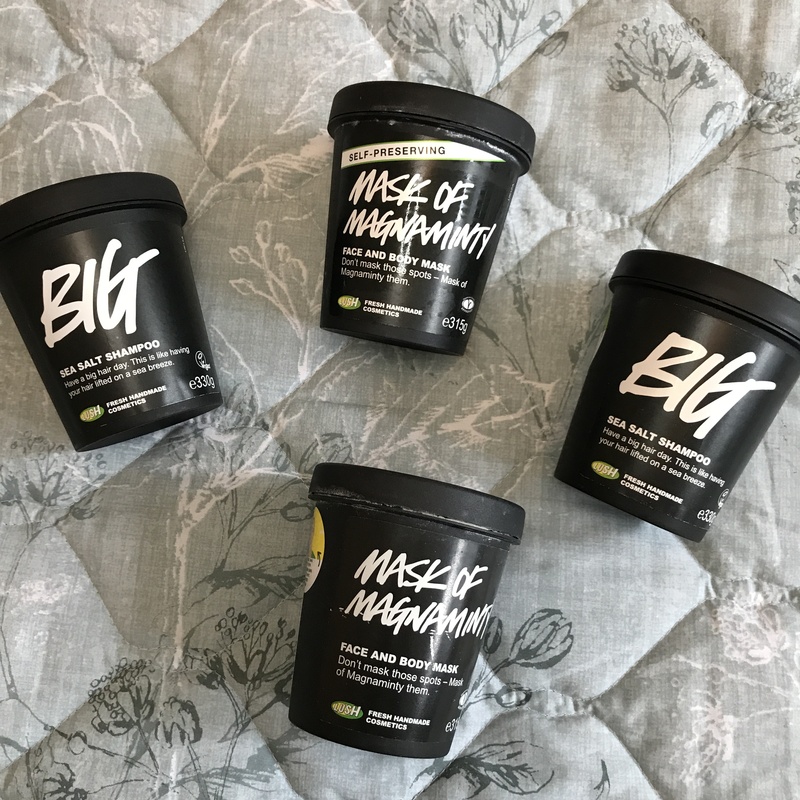 I have mentioned this before but if you can save up 5 black pots from Lush, you can return them to be recycled and in return you get a free fresh face mask. I’m currently on 4 so I’m only 1 away from being able to hand them all over to start their life over as a new product. Car Share: Get lifts with friends or Colleagues who are taking a similar journey. 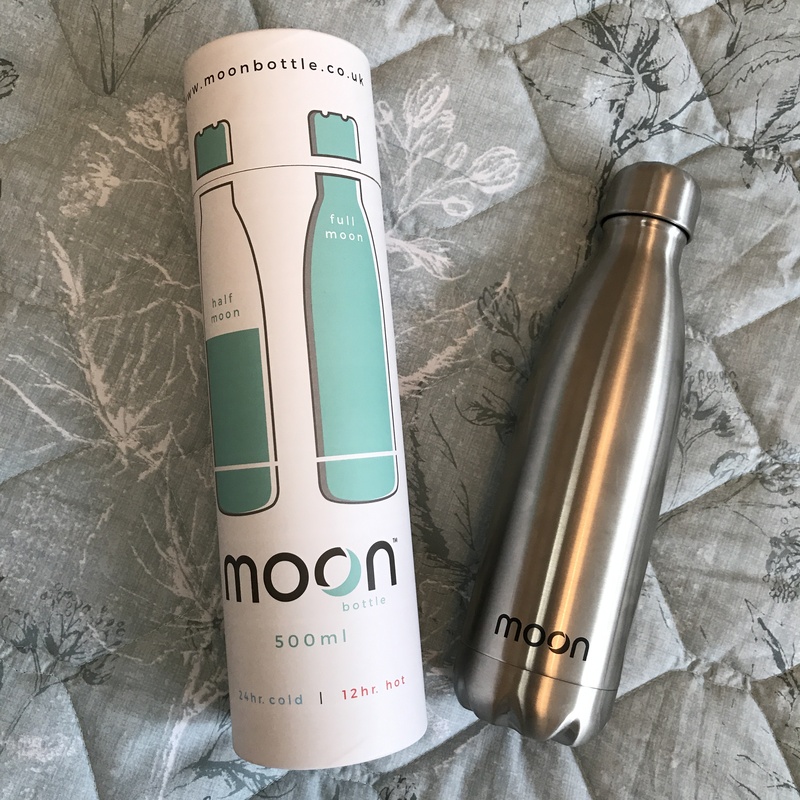 Use a Moon Cup/ Diva Cup: These are reusable for up to 5 years, which in the long run is a lot more environmentally (and economically) friendly than lots of tampons. Unplug appliances/ Switch off of Standby. Go Paperless: Swap to online statements for any accounts and use E-Tickets on your phone for events instead of printing. Hopefully even one of these tips has prompted you to think a little more carefully about our impact on the planet, after all , we do only get one so we need to look after it. Let me know in the comments if you have any tips or ideas! These are all such good ideas! Do you watch Kayln Nicholson on YouTube at all? She recently did a video similar to this that u might enjoy :)? Some great ideas here 🙂 I’ve not heard of that moon bottle before. Is it easy to clean? I have a couple of bottles that could do with replacing before too long because they’re getting a bit gross! The recycling one drives me nuts here. I’m in postgraduate halls and the number of my flatmates (international students) who don’t bother recycling (or don’t do it properly) even though we have separate bins in the kitchen for everything. It annoys me so much! The paperless one is good, it’s kind of ridiculous though because I study environmental science: conservation and resource management. So you’d think our school would cut down on the amount of paper we have to submit/go paperless, like most of the other schools in the uni! But nope! Straws aren’t recyclable? Oh no! I much prefer drinking out of a straw when I’m out at a restaurant– although, if we’re being realistic, even if straws were recyclable, would restaurants take the step to recycle them? 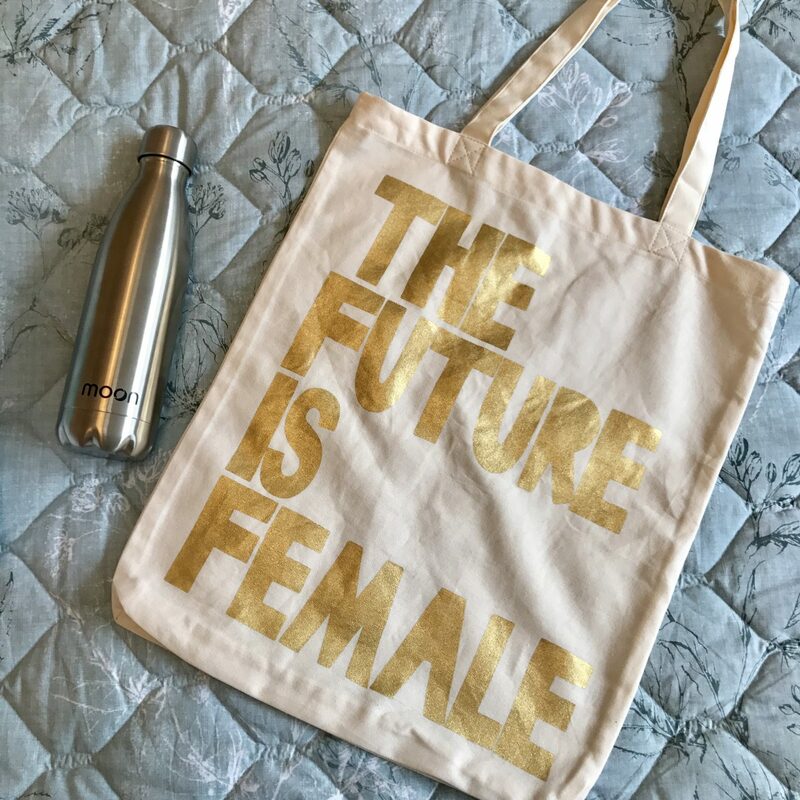 But I digress… Also, love your tote bag! I may have to investigate this!! Yay for the moon cup plug too. I wasn’t keen on mine in the first month, but once I got used to taking it out it has been life changing. I honestly can’t imagine going back to tampons now, they feel HORRIBLE and drying. Heh. I have a few friends that use them, and one mentioned it on facebook, we all got a little evangelical about them! They are so, so much better (for the environment and for your wallet) that I think its a shame so women are unable to talk about it. These were fantastic tips – I found myself jotting them down. Heaps of new ones to try out here! What a great post! You have really nice ideas and I’m glad there are so many people trying to improve the state of our Earth! Thankyou! I suppose every person and every small change helps! No problem! Amazing well done you, keep up your hard work!! Nice and simple ideas to protect our environment. though they are simple they make big changes in our environment. To protect our environment we developed an app mycotra to reduce pollution. Though it is also small idea but gives us biggest result. Great post Meg. You’re right, if we all do something in a small way it all adds up. Recently on Australia’s ABC television they did a series on waste and mentioned a number of the suggestions you have mentioned plus numerous others that we don’t even think of. One that stands out for me is clothing particularly with young women. many of them buy new clothes almost weekly, wear them once and then they sit in their wardrobes. What they suggested was mix and match instead of buying new clothes all the time. Thanks! Yeah I’ve been watching a few videos about “shopping your stash” which is basically mixing and matching what you already own and I always trying and take unwanted clothes to the charity shop so they can get a new home!